With futuristic warfare in mind, India is working to develop robotic soldiers as part of efforts to boost unmanned fighting capabilities, joining a select group of countries in this endeavour. Under the project being undertaken by DRDO, robots would be developed with very high level of intelligence to enable them to differentiate between a threat and a friend. These can then be deployed in difficult warfare zones, like the Line of Control (LoC), a step that would help avert the loss of human lives. “We are going to work for robotic soldiers. We are going to look for very high level of intelligence in it than what we are talking today… It is a new programme and a number of labs are already working in a big way on robotics,” DRDO chief Avinash Chander told news agency in an interview. Chander said the need for a robotic soldier is felt to save precious human lives and already robots are used in areas where humans do no want to venture such as defusing bombs or getting inside a high-radiation territory. “Robotic soldier is one step further. It will have multiple technologies in terms of communication with team members, ability to recognise an enemy,” Chander said. 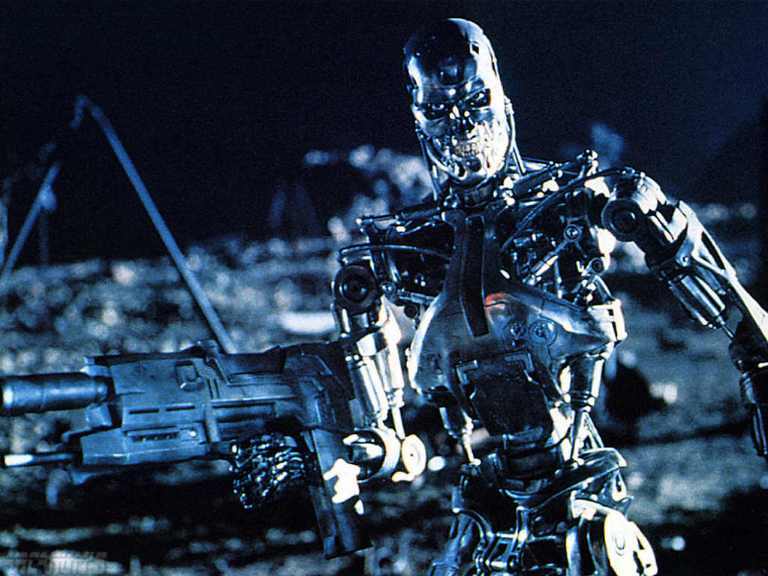 “Today, you have neural networks, whenever the soldier tells him (robotic soldier) that this is a human solider, he will derive his own logic as to what is the difference between him and others (civilians). That learning process will keep building up,” he said. The Obama administration has no intention of carrying out drone strikes against suspected terrorists in the United States, but could use them in response to “an extraordinary circumstance” such as the 9/11 terror attacks, according to a letter from Attorney General Eric Holder obtained by NBC News. The letter from Holder surfaced just as the Senate Intelligence Committee was voting 12-3 to approve White House counterterrorism adviser John Brennan to be CIA director. The vote came after the White House agreed to share additional classified memos on targeted drone strikes against U.S. citizens overseas. Paul had threatened to hold up Brennan’s confirmation on the floor of the Senate if the administration did not clarify whether targeted drone strikes could be used inside the U.S. But Holder then appeared to leave the door open to such strikes in extreme circumstances. Paul told NBC News that the response by Holder could lead to a situation where “an Arab-American in Dearborn (Mich.) is walking down the street emailing with a friend in the Mideast and all of a sudden we drop a drone” on him. He said it was “really shocking” that President Barack Obama, a former constitutional law professor, would leave the door open to such a possibility. Paul said he will filibuster Brennan’s confirmation over the issue but acknowledged “we probably can’t stop him.” He did say, however, he intends to co-sponsor a bill with Republican Sen. Ted Cruz of Texas, to be introduced in the next few days, that would bar the president from using drone strikes in the U.S.
Defence contractor Raytheon has developed a tool that can mine social media to track and predict individuals’ behaviour, according to The Guardian. A global “Big Sinister Defence Company Develops ‘Google For Spies’ That Your Government May Already Have Bought “ story is therefore unfurling as you read this piece. The key “features” of Raytheon’s tool, developed in co-operation with the US government and delicately titled Rapid Information Overlay Technology (RIOT), are said to be an ability to sift through social media and figure out who your friends are and the places you frequent. With that data in hand, The Guardian feels “monitoring and control” of you, I, and everyone we collectively hold dear is eminently possible. It’s implied, despite Raytheon saying it’s had no buyers, that such software is likely to end up in the hands of a repressive State, or a shadowy agency inside a more open State. Australia’s Sydney Morning Herald has piled in with a story on the same theme. IBM, for example, happily sells “social media analytics” software that can “Capture consumer data from social media to understand attitudes, opinions, trends and manage online reputation” and even “Predict customer behavior”. And yes, that’s the same IBM that can whip up a supercomputer or sell you a scale-out NAS capable of storing multiple petabytes of data. Throw in the social stuf and Big Blue, too, could help someone nasty to obtain, retain and analyse petabytes of data about us all. SAS’ offering in the same software category is capable of “continuously monitoring online and social conversation data to identify important topics” and “continuously captures and retains more than two years of online conversation history”. SAS even offers to host its solution, meaning all that data about you is stored by a third-party company you’ve never heard of (and isn’t even open to the scrutiny afforded to listed companies). Customer service software outfit Genesys sells “Social engagement” software that “Automates the process of (social) listening to your customers” and “Extends business rules and service level strategies to the growing volume of social media-based customer interactions. Could those business rules become “security rules”? A quick mention of Big Data, daily and breathlessly advanced as capable of all of the above, and much more to more data, is also surely worth inserting at this point. And then there are Google, Twitter, Facebook and others whose entire business is built on figuring out who you spend time with and where you spend (or intend to spend) that time, so they can sell that information to advertisers. Or hand it over to the government, when asked, which seems to be happening rather more regularly if the social networks’ own reports on the matter suggest. We’re not suggesting any of the software or services mentioned above were designed as instruments of State surveillance, but it is surely worth pointing out that Raytheon is far from alone in having developed software capable of tracking numerous data public sources, aggregating them into a file on an individual, and doing so without individuals’ knowledge. That the company has done so in collaboration with the US government should not surprise, either: show The Reg a software company uninterested in adapting their wares for government and/or military applications and we’ll show you a software company begging for a shareholder lawsuit and/or swift and replacement of its top executives. As for the spatial aspect of the allegations, the fact that photos contain spatial metadata is hardly news, nor is the notion that social media leaves a trail of breadcrumbs novel. One has only to revisit news from 2010 to be reminded of how pleaserobme.com pointed out how social media can alert thieves to the fact you’ve left your home. And let’s not even try to draw a line between a new-wave marketing tool like Geofeedia (today spruiking itself as offering real-time maps showing Tweets around the Grammies and as capable of letting one “monitor events to gather sentiment data”), mashups from clever folks who map check-ins and sinister surveillance-ware. Far clearer is the fact that you, dear reader, are the product for any free online product. Also crystal clear is that by using such services, data about you will be consumed by a large and diverse audience. The scariest thing of all may be how few of those that use such services care or even realise the reality of the situation. The entity that is designed to be, and endlessly praises itself for being, a check on US government power is, in fact, its most loyal servant. The US media, over the last decade (at least), has repeatedly acted to conceal newsworthy information it obtains about the actions of the US government. In each instance, the self-proclaimed adversarial press corps conceals these facts at the behest of the US government, based on patently absurd claims that reporting them will harm US national security. In each instance, what this media concealment actually accomplishes is enabling the dissemination of significant government falsehoods without challenge, and permitting the continuation of government deceit and even illegality. One of the most notorious examples was in mid-2004 when the New York Times discovered – thanks to a courageous DOJ whistleblower – that the Bush administration was eavesdropping on the electronic communications of Americans without the warrants required by the criminal law. But after George Bush summoned to the Oval Office the paper’s publisher (Arthur Sulzberger) and executive editor (Bill Keller) and directed them to conceal what they had learned, the NYT complied by sitting on the story for a-year-and-a-half: until late December, 2005, long after Bush had been safely re-elected. The “national security” excuse for this concealment was patently ludicrous from the start: everyone knew the US government was trying to eavesdrop on al-Qaida communications and this story merely revealed that they were doing so illegally (without warrants) rather than legally (with warrants). By concealing the story for so long, the New York Times helped the Bush administration illegally spy on Americans. In 2011, the New York Times along with numerous other US media outlets learned that the American arrested in Pakistan for having shot and killed two Pakistanis, Raymond Davis, was not – as President Obama falsely claimed – “our diplomat”, but was a CIA agent and former Blackwater contractor. Not only did the NYT conceal this fact, but it repeatedly and uncritically printed claims from Obama and other officials about Davis’ status which it knew to be false. It was only once the Guardian published the facts about Davis – that he was a CIA agent – did the Times tell the truth to its readers, admitting that the disclosure “pulled back the curtain on a web of covert American operations inside Pakistan, part of a secret war run by the CIA“. The NYT, as usual, justified its concealment of this obviously newsworthy information as coming “at the request of the Obama administration, which argued that disclosure of his specific job would put his life at risk”. But as the Guardian’s Deputy Editor Ian Katz noted, “Davis [was] already widely assumed in Pakistan to have links to US intelligence” and “disclosing his CIA role would [therefore not] expose him to increased risk”. And now, yet again, the US media has been caught working together to conceal obviously newsworthy government secrets. On Wednesday, the Washington Post reported that two years ago, the Obama administration established a base in Saudi Arabia from which it deploys drones to kill numerous people in Yemen. including US citizen Anwar Awlaki and, two weeks, later his 16-year-old American son Abdulrahman. The US base was built after the US launched a December, 2009 cruise missile/cluster-bomb attack that slaughtered dozens of Yemeni women and children. 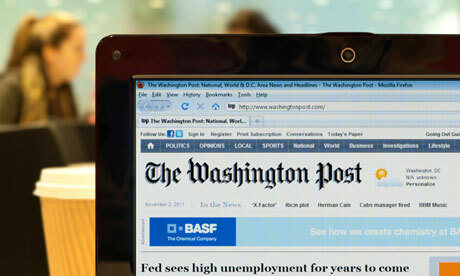 “The Washington Post had refrained from disclosing the specific location at the request of the administration, which cited concern that exposing the facility would undermine operations against an al-Qaeda affiliate regarded as the network’s most potent threat to the United States, as well as potentially damage counterterrorism collaboration with Saudi Arabia. The “other news organization” which the Post references is the New York Times. The NYT – in a very good article yesterday on the role played by CIA nominee John Brennan in US drones strikes in Yemen – reported that Brennan “work[ed] closely with neighboring Saudi Arabia to gain approval for a secret CIA drone base there that is used for American strikes”. As the paper’s Public Editor, Margaret Sullivan, explained, the NYT was one of the papers which “had withheld the location of that base at the request of the CIA”, but had decided now to report it. That was why the Post did so. The same dynamic drives most of these acts of US media self-censorship. It has nothing to do with legitimate claims of national security. Indeed, none of these facts – once they were finally reported – ultimately resulted in any harm. Instead, it has everything to do with obeying government dictates; shielding high-level government officials from embarrassing revelations; protecting even the most extreme government deceit and illegality; and keeping the domestic population of the US (their readers) ignorant of the vital acts in which their own government is engaged. As all of these examples demonstrate, extreme levels of subservience to US government authority is embedded in the ethos of the establishment American media. They see themselves not as watchdogs over the state but as loyal agents of it. That is the key truth. The entity that is designed to be, and endlessly praises itself for being, a check on US government power is, in fact, its most loyal servant. There are significant exceptions: Dana Priest did disclose the CIA black sites network over the agency’s vehement objections, while the NYT is now suing the government to compel the release of classified documents relating to Obama’s assassination program. But time and again, one finds the US media acting to help suppress the newsworthy secrets of the US government rather than report on them. Its collaborative “informal” agreement to hide the US drone base in Saudi Arabia is just the latest in a long line of such behavior. The most extremist power any political leader can assert is the power to target his own citizens for execution without any charges or due process, far from any battlefield. 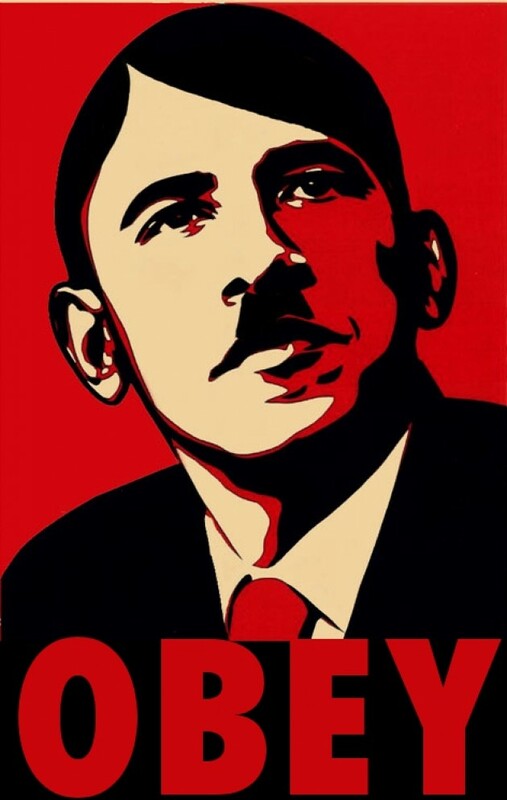 The Obama administration has not only asserted exactly that power in theory, but has exercised it in practice. In September 2011, it killed US citizen Anwar Awlaki in a drone strike in Yemen, along with US citizen Samir Khan, and then, in circumstances that are still unexplained, two weeks later killed Awlaki’s 16-year-old American son Abdulrahman with a separate drone strike in Yemen. Since then, senior Obama officials including Attorney General Eric Holder and John Brennan, Obama’s top terrorism adviser and his current nominee to lead the CIA, have explicitly argued that the president is and should be vested with this power. Meanwhile, a Washington Post article from October reported that the administration is formally institutionalizing this president’s power to decide who dies under the Orwellian title “disposition matrix”. When the New York Times back in April, 2010 first confirmed the existence of Obama’s hit list, it made clear just what an extremist power this is, noting: “It is extremely rare, if not unprecedented, for an American to be approved for targeted killing.” The NYT quoted a Bush intelligence official as saying “he did not know of any American who was approved for targeted killing under the former president”. When the existence of Obama’s hit list was first reported several months earlier by the Washington Post’s Dana Priest, she wrote that the “list includes three Americans”. What has made these actions all the more radical is the absolute secrecy with which Obama has draped all of this. Not only is the entire process carried out solely within the Executive branch – with no checks or oversight of any kind – but there is zero transparency and zero accountability. The president’s underlings compile their proposed lists of who should be executed, and the president – at a charming weekly event dubbed by White House aides as “Terror Tuesday” – then chooses from “baseball cards” and decrees in total secrecy who should die. The power of accuser, prosecutor, judge, jury, and executioner are all consolidated in this one man, and those powers are exercised in the dark. But when it comes to Obama’s assassination power, this is exactly what his administration has done. It has repeatedly refused to disclose the principal legal memoranda prepared by Obama OLC lawyers that justified his kill list. It is, right now, vigorously resisting lawsuits from the New York Times and the ACLU to obtain that OLC memorandum. In sum, Obama not only claims he has the power to order US citizens killed with no transparency, but that even the documents explaining the legal rationale for this power are to be concealed. He’s maintaining secret law on the most extremist power he can assert. Last night, NBC News’ Michael Isikoff released a 16-page “white paper” prepared by the Obama DOJ that purports to justify Obama’s power to target even Americans for assassination without due process (the memo is embedded in full below). This is not the primary OLC memo justifying Obama’s kill list – that is still concealed – but it appears to track the reasoning of that memo as anonymously described to the New York Times in October 2011. This new memo is entitled: “Lawfulness of a Lethal Operation Directed Against a US Citizen Who is a Senior Operational Leader of Al-Qa’ida or An Associated Force”. It claims its conclusion is “reached with recognition of the extraordinary seriousness of a lethal operation by the United States against a US citizen”. Yet it is every bit as chilling as the Bush OLC torture memos in how its clinical, legalistic tone completely sanitizes the radical and dangerous power it purports to authorize. The core distortion of the War on Terror under both Bush and Obama is the Orwellian practice of equating government accusations of terrorism with proof of guilt. One constantly hears US government defenders referring to “terrorists” when what they actually mean is: those accused by the government of terrorism. This entire memo is grounded in this deceit. This ensures that huge numbers of citizens – those who spend little time thinking about such things and/or authoritarians who assume all government claims are true – will instinctively justify what is being done here on the ground that we must kill the Terrorists or joining al-Qaida means you should be killed. That’s the “reasoning” process that has driven the War on Terror since it commenced: if the US government simply asserts without evidence or trial that someone is a terrorist, then they are assumed to be, and they can then be punished as such – with indefinite imprisonment or death. But of course, when this memo refers to “a Senior Operational Leader of al-Qaida”, what it actually means is this: someone whom the President – in total secrecy and with no due process – has accused of being that. Indeed, the memo itself makes this clear, as it baldly states that presidential assassinations are justified when “an informed, high-level official of the US government has determined that the targeted individual poses an imminent threat of violent attack against the US”. This is the crucial point: the memo isn’t justifying the due-process-free execution of senior al-Qaida leaders who pose an imminent threat to the US. It is justifying the due-process-free execution of people secretly accused by the president and his underlings, with no due process, of being that. The distinction between (a) government accusations and (b) proof of guilt is central to every free society, by definition, yet this memo – and those who defend Obama’s assassination power – willfully ignore it. Those who justify all of this by arguing that Obama can and should kill al-Qaida leaders who are trying to kill Americans are engaged in supreme question-begging. Without any due process, transparency or oversight, there is no way to know who is a “senior al-Qaida leader” and who is posing an “imminent threat” to Americans. All that can be known is who Obama, in total secrecy, accuses of this. The definition of an extreme authoritarian is one who is willing blindly to assume that government accusations are true without any evidence presented or opportunity to contest those accusations. This memo – and the entire theory justifying Obama’s kill list – centrally relies on this authoritarian conflation of government accusations and valid proof of guilt. They are not the same and never have been. Political leaders who decree guilt in secret and with no oversight inevitably succumb to error and/or abuse of power. Such unchecked accusatory decrees are inherently untrustworthy (indeed, Yemen experts have vehemently contested the claim that Awlaki himself was a senior al-Qaida leader posing an imminent threat to the US). That’s why due process is guaranteed in the Constitution and why judicial review of government accusations has been a staple of western justice since the Magna Carta: because leaders can’t be trusted to decree guilt and punish citizens without evidence and an adversarial process. That is the age-old basic right on which this memo, and the Obama presidency, is waging war. The most vital fact to note about this memorandum is that it is not purporting to impose requirements on the president’s power to assassinate US citizens. When it concludes that the president has the authority to assassinate “a Senior Operational Leader of al-Qaida” who “poses an imminent threat of violent attack against the US” where capture is “infeasible”, it is not concluding that assassinations are permissible only in those circumstances. To the contrary, the memo expressly makes clear that presidential assassinations may be permitted even when none of those circumstances prevail: “This paper does not attempt to determine the minimum requirements necessary to render such an operation lawful.” Instead, as the last line of the memo states: “it concludes only that the stated conditions would be sufficient to make lawful a lethal operation” – not that such conditions are necessary to find these assassinations legal. The memo explicitly leaves open the possibility that presidential assassinations of US citizens may be permissible even when the target is not a senior al-Qaida leader posing an imminent threat and/or when capture is feasible. Critically, the rationale of the memo – that the US is engaged in a global war against al-Qaida and “associated forces” – can be easily used to justify presidential assassinations of US citizens in circumstances far beyond the ones described in this memo. If you believe the president has the power to execute US citizens based on the accusation that the citizen has joined al-Qaida, what possible limiting principle can you cite as to why that shouldn’t apply to a low-level al-Qaida member, including ones found in places where capture may be feasible (including US soil)? The purported limitations on this power set forth in this memo, aside from being incredibly vague, can be easily discarded once the central theory of presidential power is embraced. The primary theory embraced by the Bush administration to justify its War on Terror policies was that the “battlefield” is no longer confined to identifiable geographical areas, but instead, the entire globe is now one big, unlimited “battlefield”. That theory is both radical and dangerous because a president’s powers are basically omnipotent on a “battlefield”. There, state power is shielded from law, from courts, from constitutional guarantees, from all forms of accountability: anyone on a battlefield can be killed or imprisoned without charges. Thus, to posit the world as a battlefield is, by definition, to create an imperial, omnipotent presidency. That is the radical theory that unleashed all the rest of the controversial and lawless Bush/Cheney policies. This “world-is-a-battlefield” theory was once highly controversial among Democrats. John Kerry famously denounced it when running for president, arguing instead that the effort against terrorism is “primarily an intelligence and law enforcement operation that requires cooperation around the world”. But this global-war theory is exactly what lies at heart of the Obama approach to Terrorism generally and this memo specifically. It is impossible to defend Obama’s assassination powers without embracing it (which is why key Obama officials have consistently done so). That’s because these assassinations are taking place in countries far from any war zone, such as Yemen and Somalia. You can’t defend the application of “war powers” in these countries without embracing the once-very-controversial Bush/Cheney view that the whole is now a “battlefield” and the president’s war powers thus exist without geographic limits. This new memo makes clear that this Bush/Cheney worldview is at the heart of the Obama presidency. The president, it claims, “retains authority to use force against al-Qaida and associated forces outside the area of active hostilities“. In other words: there are, subject to the entirely optional “feasibility of capture” element, no geographic limits to the president’s authority to kill anyone he wants. This power applies not only to war zones, but everywhere in the world that he claims a member of al-Qaida is found. This memo embraces and institutionalizes the core Bush/Cheney theory that justified the entire panoply of policies Democrats back then pretended to find so objectionable. The memo claims that the president’s assassination power applies to a senior al-Qaida member who “poses an imminent threat of violent attack against the United States”. That is designed to convince citizens to accept this power by leading them to believe it’s similar to common and familiar domestic uses of lethal force on US soil: if, for instance, an armed criminal is in the process of robbing a bank or is about to shoot hostages, then the “imminence” of the threat he poses justifies the use of lethal force against him by the police. But this rhetorical tactic is totally misleading. The memo is authorizing assassinations against citizens in circumstances far beyond this understanding of “imminence”. Indeed, the memo expressly states that it is inventing “a broader concept of imminence” than is typically used in domestic law. Specifically, the president’s assassination power “does not require that the US have clear evidence that a specific attack . . . will take place in the immediate future“. The US routinely assassinates its targets not when they are engaged in or plotting attacks but when they are at home, with family members, riding in a car, at work, at funerals, rescuing other drone victims, etc. Many of the early objections to this new memo have focused on this warped and incredibly broad definition of “imminence”. The ACLU’s Jameel Jaffer told Isikoff that the memo “redefines the word imminence in a way that deprives the word of its ordinary meaning”. Law Professor Kevin Jon Heller called Jaffer’s objection “an understatement”, noting that the memo’s understanding of “imminence” is “wildly overbroad” under international law. Crucially, Heller points out what I noted above: once you accept the memo’s reasoning – that the US is engaged in a global war, that the world is a battlefield, and the president has the power to assassinate any member of al-Qaida or associated forces – then there is no way coherent way to limit this power to places where capture is infeasible or to persons posing an “imminent” threat. The legal framework adopted by the memo means the president can kill anyone he claims is a member of al-Qaida regardless of where they are found or what they are doing. This memo is not a judicial opinion. It was not written by anyone independent of the president. To the contrary, it was written by life-long partisan lackeys: lawyers whose careerist interests depend upon staying in the good graces of Obama and the Democrats, almost certainly Marty Lederman and David Barron. Treating this document as though it confers any authority on Obama is like treating the statements of one’s lawyer as a judicial finding or jury verdict. Life-long Democratic Party lawyers are not going to oppose the terrorism policies of the president who appointed them. A president can always find underlings and political appointees to endorse whatever he wants to do. That’s all this memo is: the by-product of obsequious lawyers telling their Party’s leader that he is (of course) free to do exactly that which he wants to do, in exactly the same way that Bush got John Yoo to tell him that torture was not torture, and that even it if were, it was legal. That’s why courts, not the president’s partisan lawyers, should be making these determinations. But when the ACLU tried to obtain a judicial determination as to whether Obama is actually authorized to assassinate US citizens, the Obama DOJ went to extreme lengths to block the court from ruling on that question. They didn’t want independent judges to determine the law. They wanted their own lawyers to do so. That’s all this memo is: Obama-loyal appointees telling their leader that he has the authority to do what he wants. But in the warped world of US politics, this – secret memos from partisan lackeys – has replaced judicial review as the means to determine the legality of the president’s conduct. The core freedom most under attack by the War on Terror is the Fifth Amendment’s guarantee of due process. It provides that “no person shall be . . . deprived of life . . . without due process of law”. Like putting people in cages for life on island prisons with no trial, claiming that the president has the right to assassinate US citizens far from any battlefield without any charges or trial is the supreme evisceration of this right. It is fitting indeed that the memo expressly embraces two core Bush/Cheney theories to justify this view of what “due process” requires. First, it cites the Bush DOJ’s core view, as enunciated by John Yoo, that courts have no role to play in what the president does in the War on Terror because judicial review constitutes “judicial encroachment” on the “judgments by the President and his national security advisers as to when and how to use force”. And then it cites the Bush DOJ’s mostly successful arguments in the 2004 Hamdi case that the president has the authority even to imprison US citizens without trial provided that he accuses them of being a terrorist. The reason this is so fitting is because, as I’ve detailed many times, it was these same early Bush/Cheney theories that made me want to begin writing about politics, all driven by my perception that the US government was becoming extremist and dangerous. During the early Bush years, the very idea that the US government asserted the power to imprison US citizens without charges and due process (or to eavesdrop on them) was so radical that, at the time, I could hardly believe they were being asserted out in the open. Yet here we are almost a full decade later. And we have the current president asserting the power not merely to imprison or eavesdrop on US citizens without charges or trial, but to order them executed – and to do so in total secrecy, with no checks or oversight. If you believe the president has the power to order US citizens executed far from any battlefield with no charges or trial, then it’s truly hard to conceive of any asserted power you would find objectionable. Two-thirds of Palestinians killed by Israeli Defense Forces (IDF) drones in the November, 2012 attack on Gaza were civilians. This statistic means that for the residents of Gaza, the ground-breaking investigation by the United Nations Special Rapporteur on Counter-Terrorism and Human Rights into the civilian impact and human rights implications of the use of drones and other forms of targeted killing is very important. Data taken from reports of two human rights groups in Gaza documented that, of the 162 Palestinians killed during the eight-day attack, drone strikes killed 36 and injured 100. 24 of the 36 killed in Gaza by Israeli drones were civilians. Drone strikes (72) were 5 percent of the total Israeli military strikes (1,350) but accounted for 23 percent of the deaths in Gaza, a very high percentage of deaths from the number of drone strikes when compared with deaths from strikes of jet warplanes, artillery and naval bombardment. 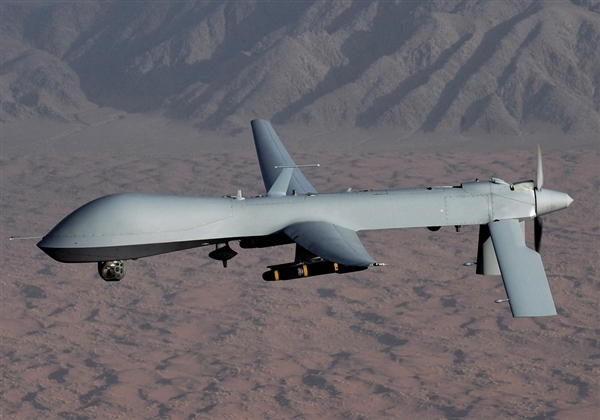 The UN team will investigate drone strikes and their effects on civilians around the world, but primarily the United States and United Kingdom’s drone strikes in Afghanistan, the US drone strikes in Pakistan, Yemen, Somalia and the Philippines and Israeli drone strikes in Gaza. 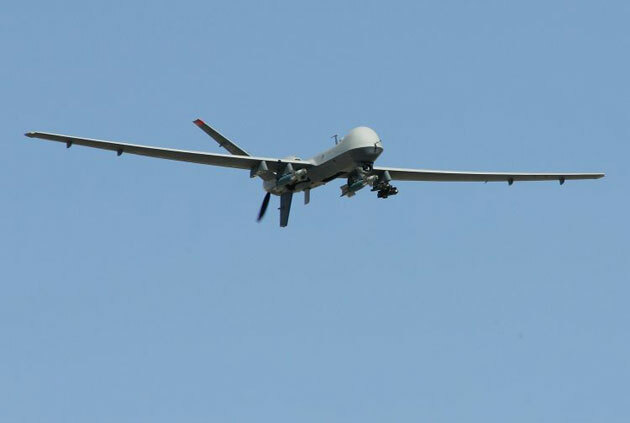 The objective of the UN investigation is “to look at evidence to determine if drone strikes and other forms of remote targeted killing have caused disproportionate civilian casualties and to make recommendations concerning the duty of States to conduct thorough, independent and impartial investigations into such allegations, with a view to securing accountability and reparation where things have gone badly wrong with potentially grave consequences for civilians.” The statistics indicate that Israeli drone strikes did cause disproportionate Palestinian civilian casualties. The Israeli military publicly identified on its website 1,500 targets in Gaza that it intended to destroy in its mid-November, 2012 military operation (named “Pillar of Clouds”). The targets named on its website were 30 Hamas and Jihad leaders, 19 high-level command centers, 980 underground rocket launchers, 140 smuggling tunnels, 66 tunnels used for “terrorist” actions, 42 Hamas operations rooms and bases and 26 weapons manufacturing and storage facilities. For many years, both the Palestinian Centre for Human Rights and the Al Mazen Centre for Human Rights have had field workers who investigate the frequent, almost daily, Israeli jet plane, drone, helicopter and artillery attacks, naval bombardment attacks and naval firing at Gaza fishermen. The investigators talk with survivors of the attacks and photograph the destruction caused by the attacks and remains of the ordnance found at the attack site. Both reports provide a region-by-region, day-by-day, attack-by-attack account of individual Israeli military strikes in Gaza. Using information from the reports of both human rights organizations, data documented that the Israeli Defense Forces conducted 72 Israeli drone strikes using 100 missiles during the November 2012 attack on Gaza. The Al Mezan report documents that at least 162 Palestinians were killed in IDF attacks, including 37 children and 13 women. (Later reports state that 178 were killed.) Another 1,039 people were injured, including 315 children and 191 women. At least 963 houses were damaged or destroyed, including 92 completely. Of those 92 houses, 52 were directly attacked; including 35 “roof-knocking” attacks to indicate to residents that the house was about to be destroyed by a second attack. Another 179 houses sustained serious damage. Additionally, IDF attacks caused damage to 10 health centers, 35 schools, two universities, 15 NGO offices, 30 mosques, 14 media offices, 92 industrial and commercial facilities, one UNRWA food distribution center, eight government ministry buildings, 14 police/security stations, five banks, 34 vehicles, three youth clubs, three cemeteries, and two bridges. Drone strikes killed 36 persons, including 4 children under the age of 16, and wounded 100 persons. 24 of the 36, or two thirds, of those killed by drone strikes were considered to be civilians. Ten recruits make it through basic training, gain citizenship as reward. MARINE CORPS RECRUIT DEPOT PARRIS ISLAND, S.C. — Ten young men became American citizens on the same day they were presented to their families as Marines, part of a new program that allows recruits to go through the naturalization process at the end of boot camp. Members of Hotel Company, 2nd Recruit Training Battalion, participated in the Thursday ceremony that preceded Friday’s boot camp graduation here. Ten of the new Marines decided to join the Corps before they officially were considered Americans. But that changed as they stood in front of the rest of the battalion and their families, raised their right hands and took the Oath of Allegiance to become citizens of the country they’ve sworn to protect. The 10 Marines were born in different countries. Pvt. Giuseppe Raccuglia, 18, was born in Italy and came to the United States as a toddler. His family moved here for better opportunities, said his mother, Maria DiBacco. They traveled from Hartford, Conn., to see Raccuglia graduate and watched him become a Marine and an American. Raccuglia, who picked up the crash, fire and rescue military occupational specialty during boot camp, said he wanted to become a Marine so he could give back to the country that took in his family. Pvt. Abraham Ostos Mendoza, 18, was born in Peru and moved to the U.S. about six years ago. He said he joined the Marine Corps to become part of the nation’s finest fighting force. “I was nervous,” he said. “Standing out there becoming a Marine and a citizen at the same time, right after boot camp and the Crucible — it’s just a lot.” The Crucible is the final test in recruit training. He said it was difficult at times to follow what his boot-camp drill instructors were saying because they speak so quickly and English is his second language. He now will move toward his military occupational specialty, working construction, and said becoming a Marine will change the way he acts every day. The remaining eight Marines were from Bhutan, Bolivia, Cameroon, Colombia, the Dominican Republic, Haiti, Jamaica and Mexico. The naturalization program is an expansion of the law that President George W. Bush authorized following the Sept. 11, 2001, terrorist attacks, that allows noncitizens serving in the armed forces to immediately file for citizenship. In 2009, the Army established a program giving immigrants the ability to become citizens when they graduate from basic training, and the Navy joined the initiative in 2010. Immigrants serving in the Air Force, Coast Guard, certain parts of the National Guard and the Selected Reserve of the Ready Reserve also are eligible for expedited citizenship, according to U.S. Citizenship and Immigration Services.